July 29, 2017 – The Holy Synod of the Russian Orthodox Church began its regular session at the historic building of the Most Holy Governing Synod in St. Petersburg. 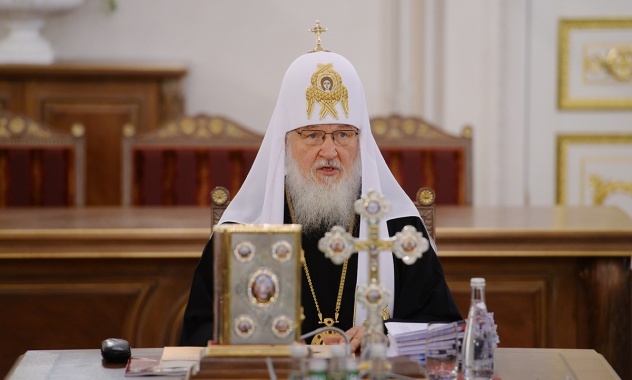 It was chaired by His Holiness Patriarch Kirill of Moscow and All Russia. Before the session began, Patriarch Kirill was met at the main entrance to the building – which accommodates today the Holy Synod Sessions Hall with a Chapel of the Holy Fathers of the Seven Ecumenical Councils and the Yeltsin Presidential Library – by A. Vershinin, general director of the library. ‘According to tradition, we hold the summer session at the historic building of the Most Holy Governing Synod. Today we have a fairly broad agenda consisting of 27 items. I hope we will manage to complete our work during the day. ‘I would like to say that 90 years ago today, Metropolitan Sergiy (Stragorodsky) signed a well-known declaration. It was on July 29, 1927. The declaration had as its aim to seek the legalization of the church in the secular state. The Church, as is known, was deprived of all rights; the clergy were deprived of even electoral rights and completely disqualified… The absence of a legal existence of the Church in Russia could lead to a full elimination and disappearance of Christianity in the country. 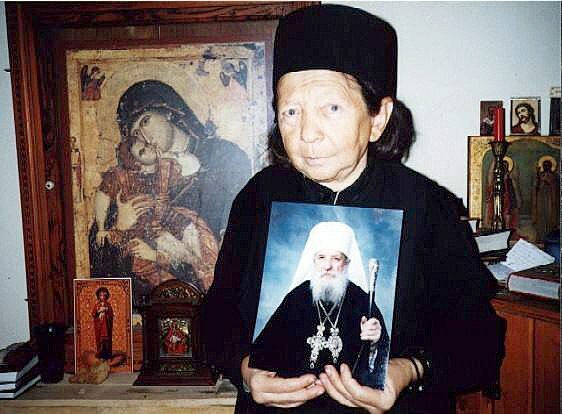 ‘We know that Metropolitan Sergiy took this step without violating in any way either dogmata or canons in order to create prerequisites for possible development of relation with the state and strengthening the status of the Church in the then Soviet Union. At first some attempts succeeded and we know that the late 1920s and early 1930s were marked with a great number of episcopal consecrations and the establishment of dioceses even in districts. It seemed that the Church now had an opportunity for restoring her canonical order… But, as history showed, all that ended already in 1934, when a first wave of repression began in the 30s. And then came 1937, 1938 and by the war our Church had become completely drained of blood, with the clergy and episcopate having gone through an era of terrible persecutions. It is the gravest page in our national history, the hardest page in the history of the Church. ‘But perhaps thanks to the intercession of new martyrs and confessors, who remained faithful to Christ, did not waver in their faith and did not reject God and the Church that something good is happening in the life of the Church and in the life of our people. For this reason we remember today’s date with gratitude to our fathers, grandfathers and all those who have upheld Orthodoxy in Russia and preserved the succession, including the apostolic, hierarchical succession in our Church. Eternal memory be to all those who worked hard for the glory of God in our Motherland’. 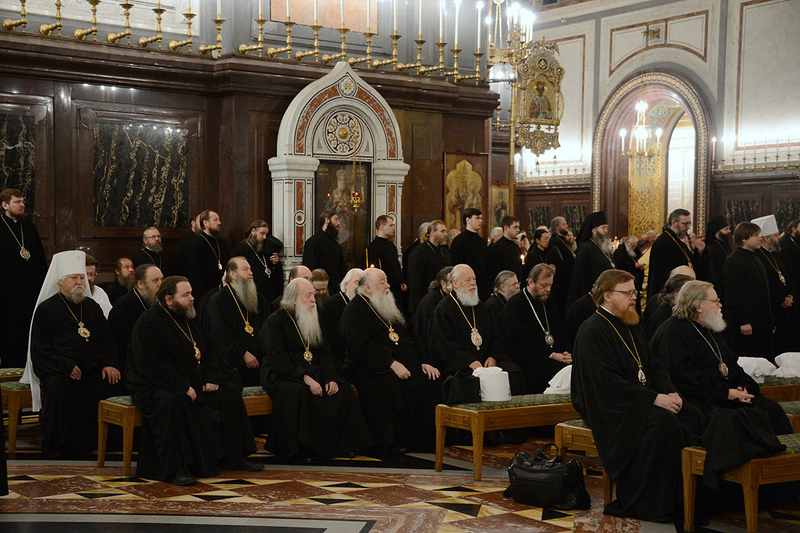 The permanent members of the Holy Synod are: Metropolitan Onufry of Kiev and All Ukraine, Metropolitan Juvenaly of Krutitsy and Kolomna, Metropolitan Vladimir of Kishinev and All Moldova, Metropolitan Alexander of Astana and Kazakhstan, Metropolitan Vikenty of Tashkent and Uzbekistan, Metropolitan Varsonofy of St. Petersburg and Ladoga, chancellor of the Moscow Patriarchate; Metropolitan Pavel of Minsk and Zaslavsk, Patriarchal Exarch for All Belarus; Metropolitan Hilarion, head of the Department for External Church Relations. 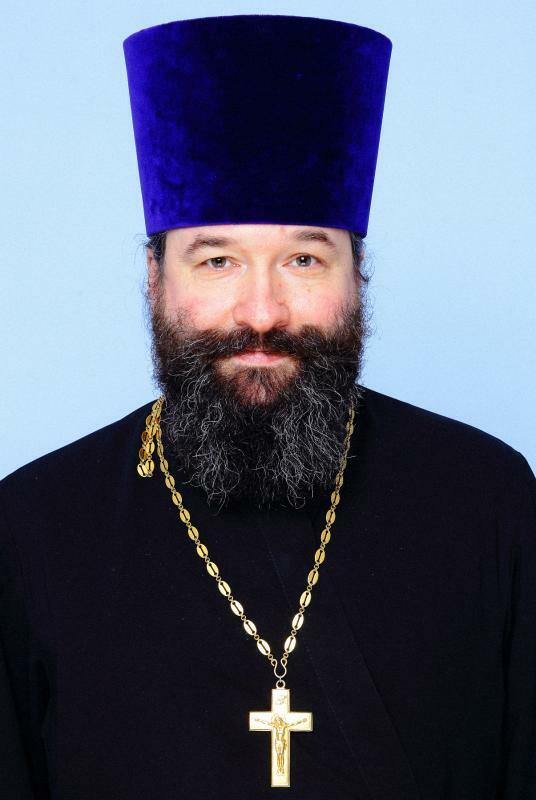 Summoned for the summer session (March-August) are: Metropolitan Pitirim of Nikolayev and Ochakovo, Metropolitan Vladimir of Khabarovsk and Priamurie, Metropolitan Nikon of Astrakhan and Kamyzyaki, Bishop Ioann of Caracas and South America, Bishop Iakov of Naryan-Mar and Mezen.